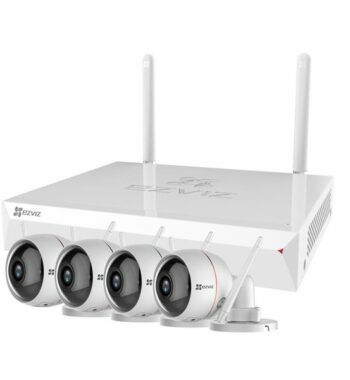 TRIPLE HD 360° PANORAMIC VIDEO – 3MP STARVIS back-illuminated CMOS image sensor and HDR enhancment provide a truly immersive video experience, re-defining surveillance and monitoring solutions. 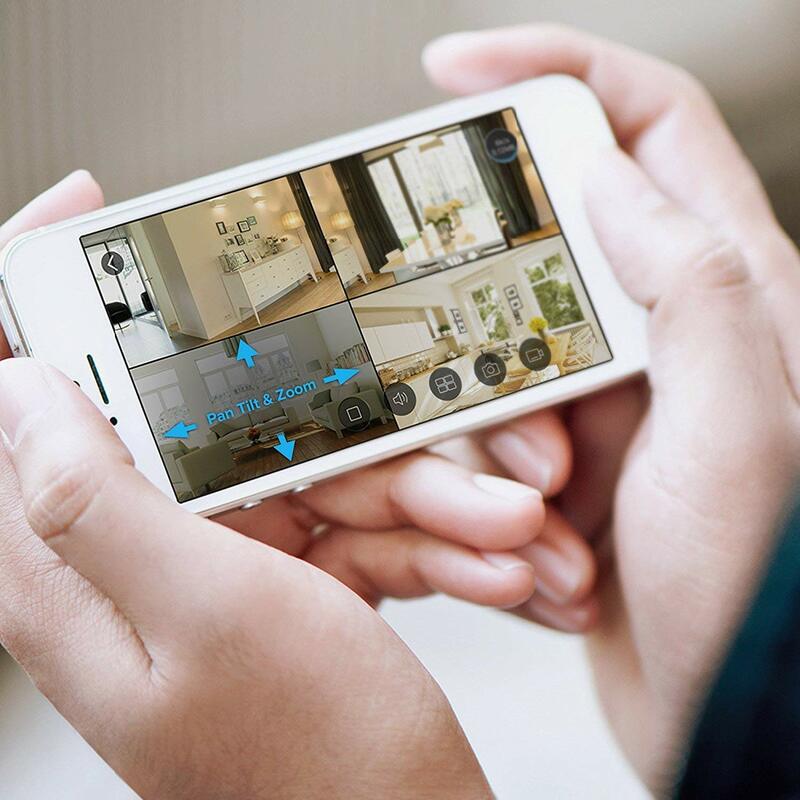 UNIQUE VIEWING OPTIONS – With the EZVIZ app, you can divide your video feed into two 180° sections or four 90° sections which can pan, tilt, and zoom independently on anything you choose. 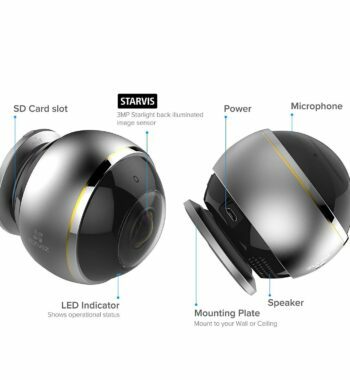 FULL DUPLEX TWO-WAY AUDIO – Put yourself in the center of any room with the ability to see, speak, and listen to anything thats happening inside. 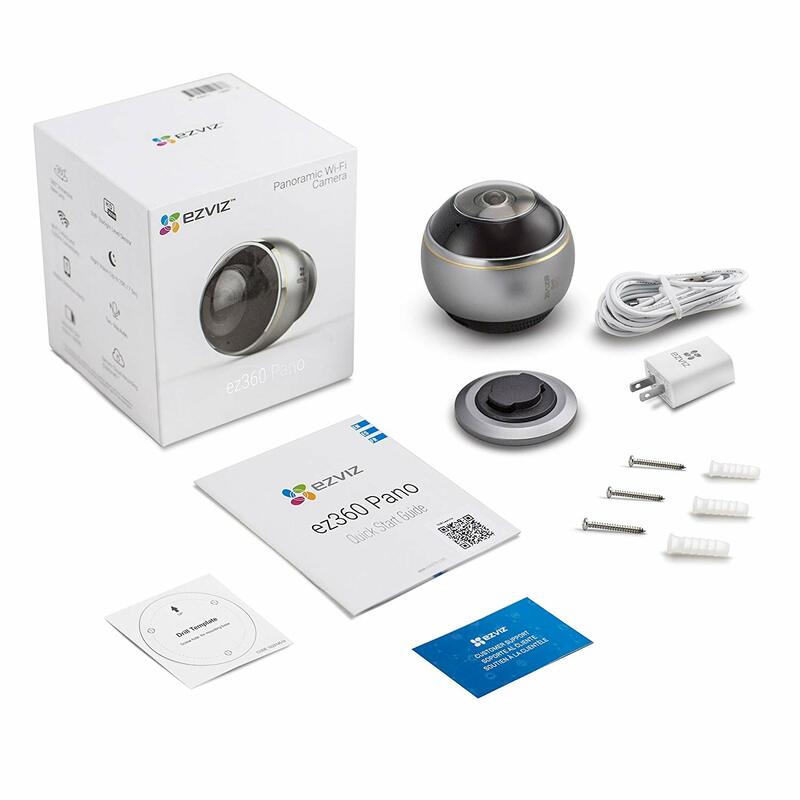 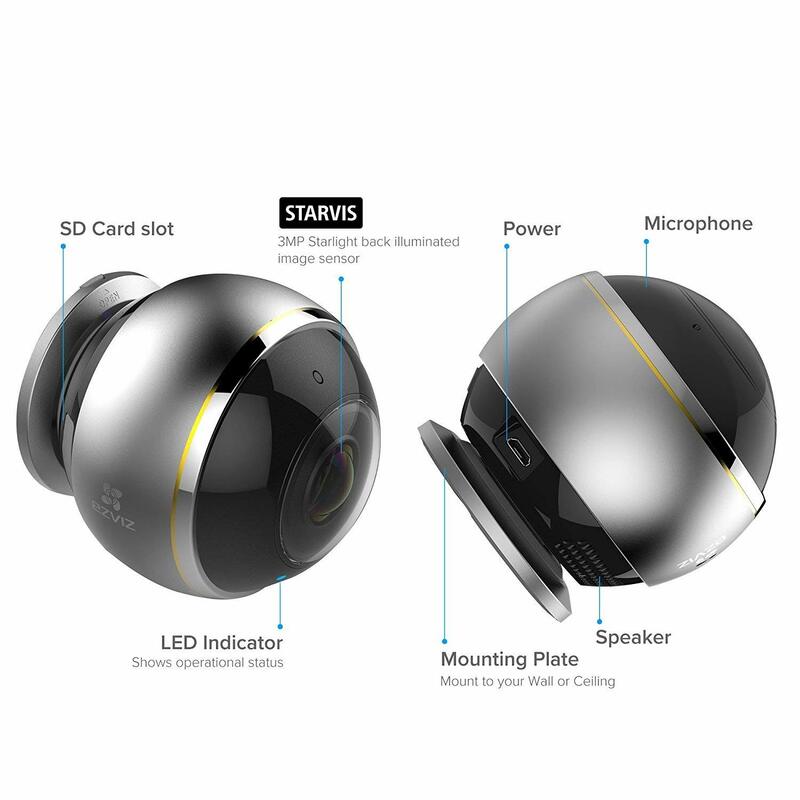 MOTION DETECTION & ALERTS – Never worry, even when you can’t be watching, Mini PANO stays alert and will notify you if it detects any activity inside the room. 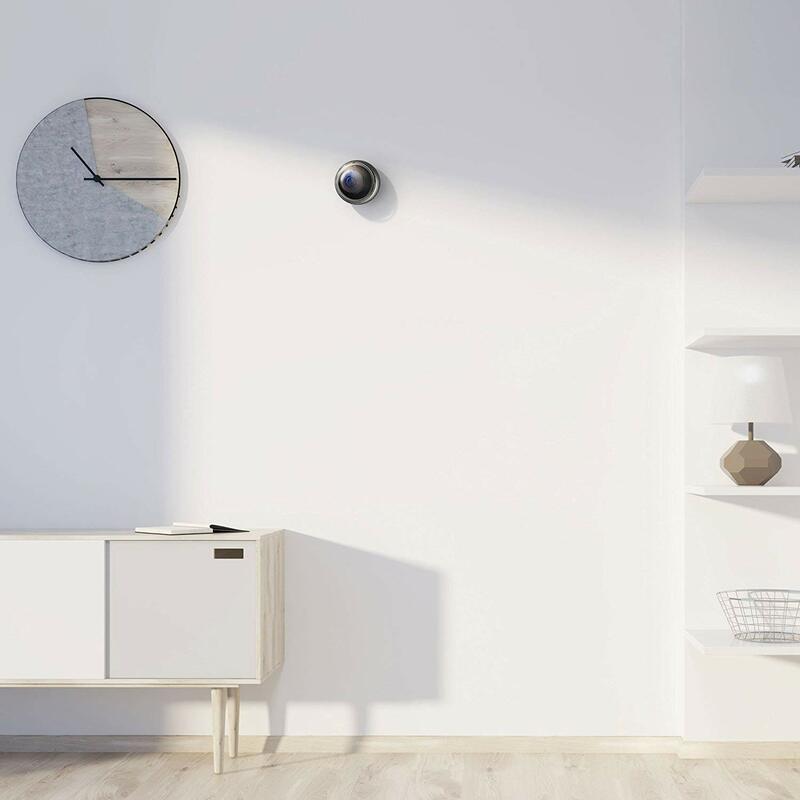 SMART HOME ENABLED – Compatible with Alexa through Echo Show and Echo Dot. 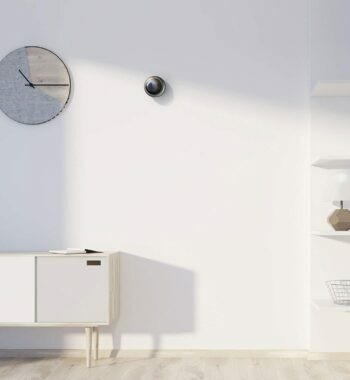 Simply ask Alexa to show you the office, living room, or anywhere you have an EZVIZ camera. 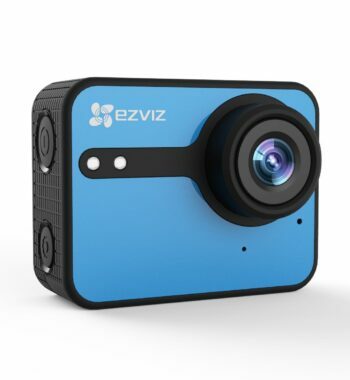 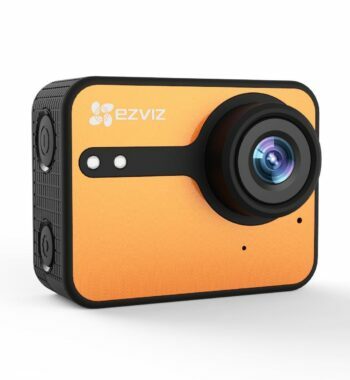 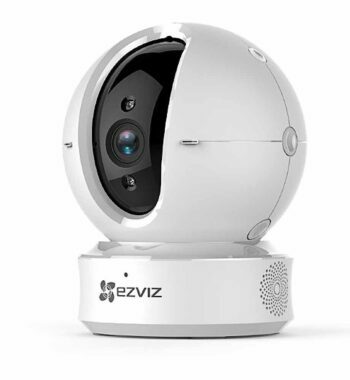 EZVIZ products are designed for entertainment, communication and security. 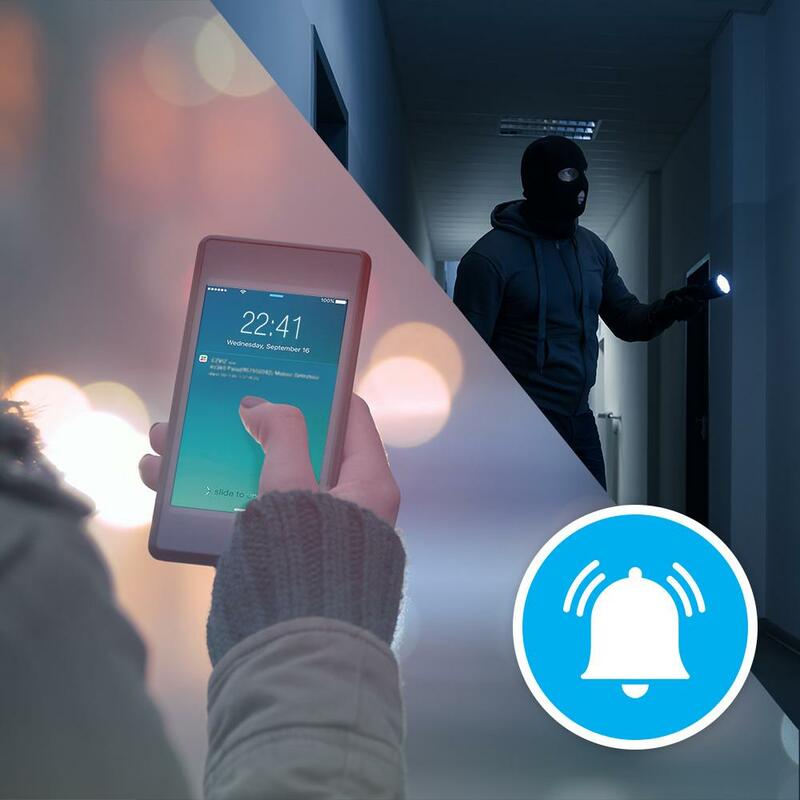 Communicate with loved ones or colleagues, keep an eye on your home, your office, your restaurant. 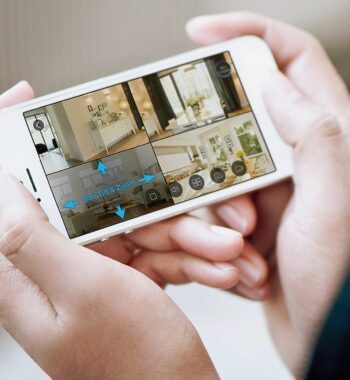 Once you’ve instaled the app on your smartphone and you’ve scanned the QR code on the device, all components are connected to your account and you’re ready to go. 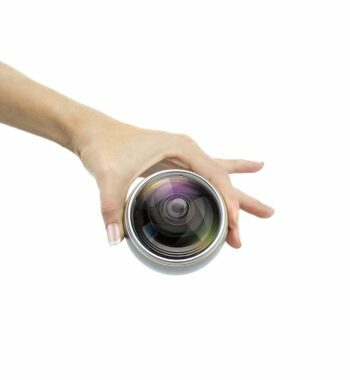 Virtually place yourself in the center of any room with a dynamic fisheye lens allowing you to see every angle around the camera. With crisp 3MP HDR video resolution, you can also quickly zoom in on any part of the frame without losing image quality. Give yourself the veiwing power of up to 4 cameras with just one easy to install Mini Pano camera. 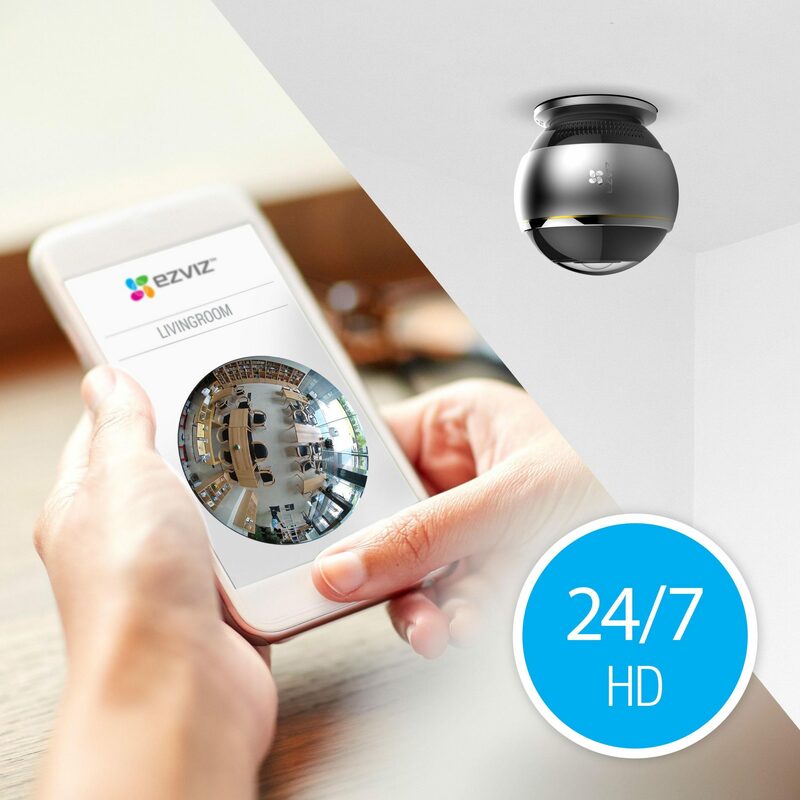 The specialized STARVIS sensor is designed to maintain high quality images even when a light source is scarce, able to see objects even at just 0.01 LUX. 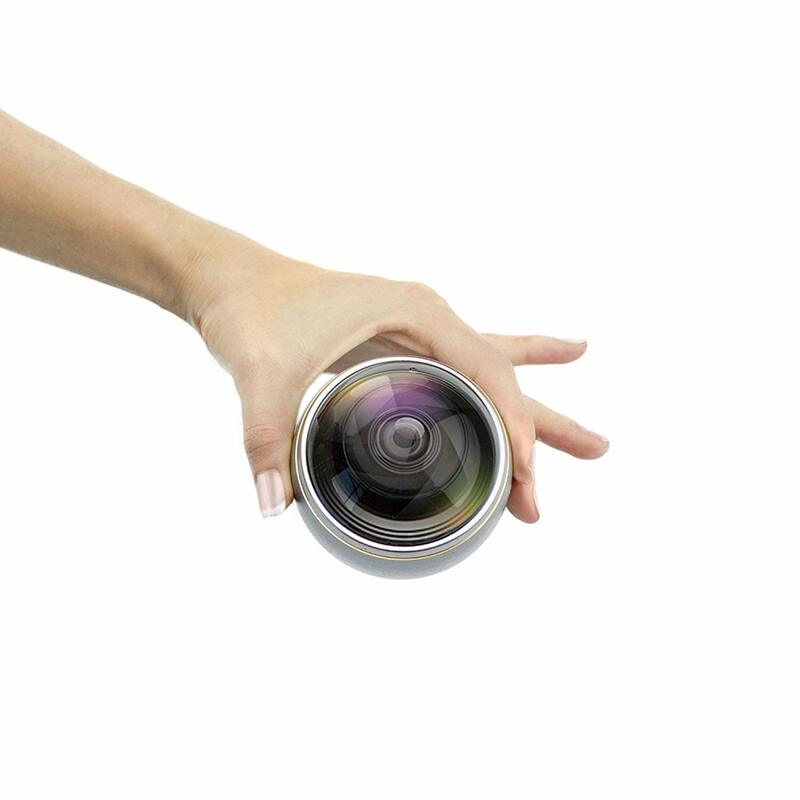 That’s stronger reception than the human eye! 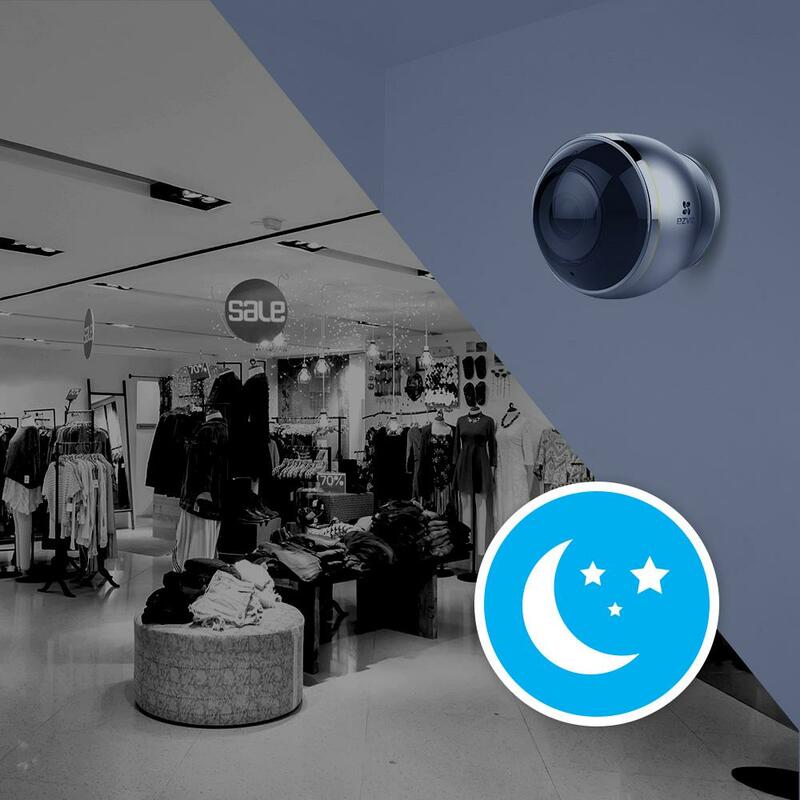 This ultimately translates into excellent night vision without the risk of common side effects from IR lighting, such as reflection or over exposure. 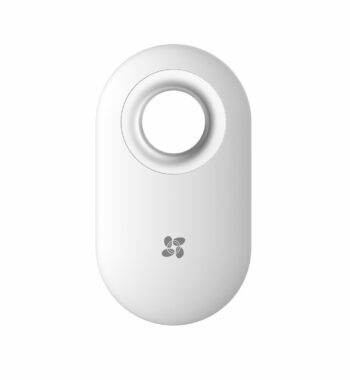 (Backup IR light is still included for environments below 0.01 LUX). 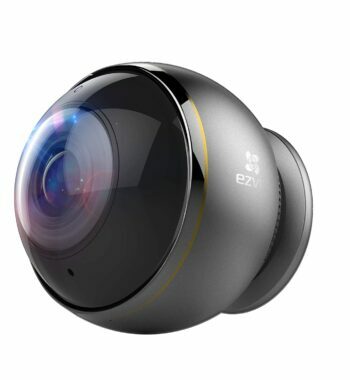 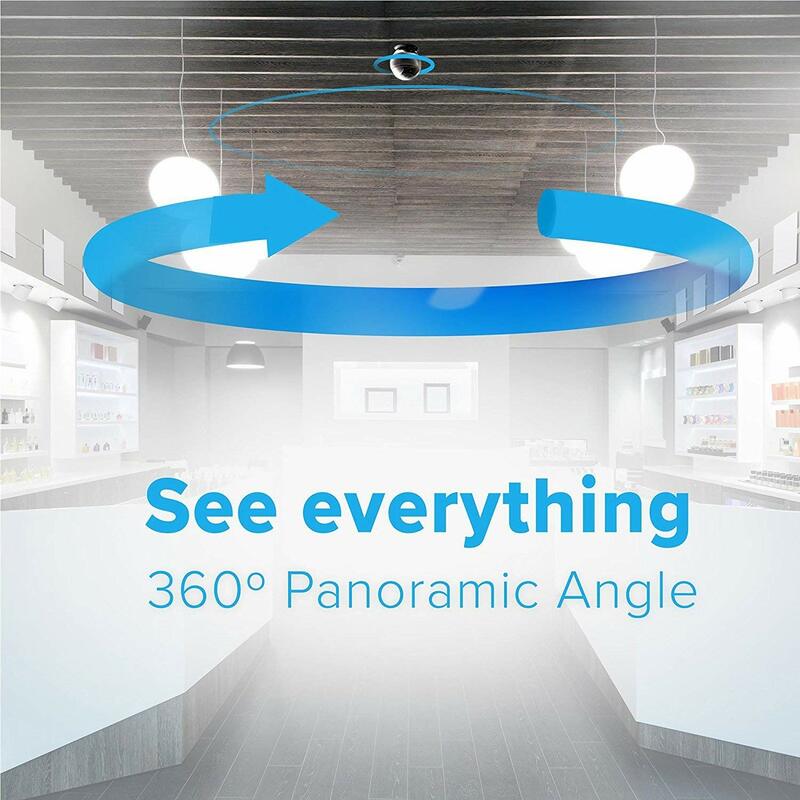 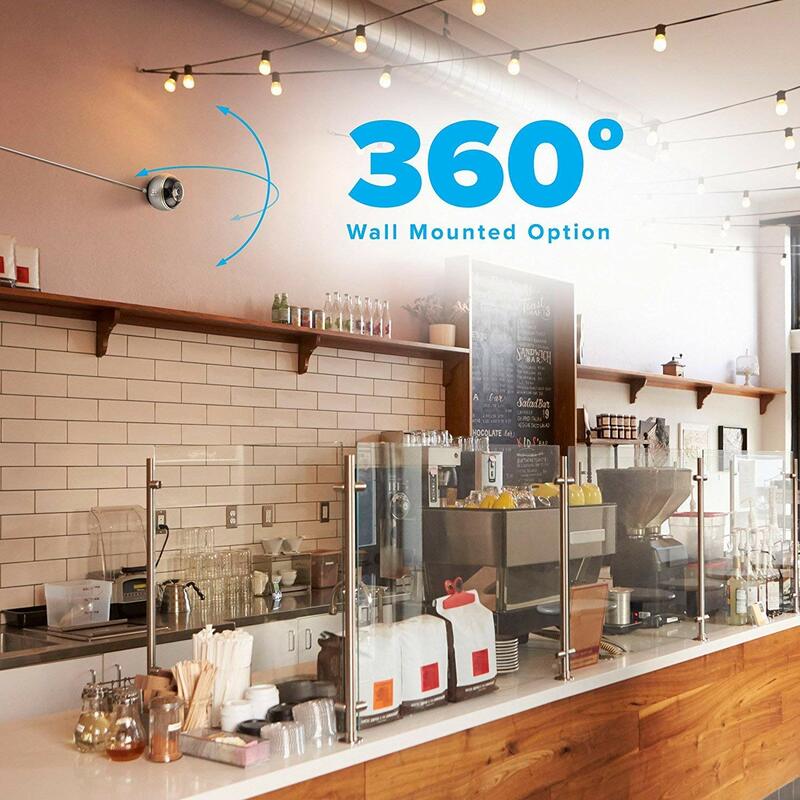 Combined with EZVIZ’s intuitive video algorithms and 4 unique viewing modes, the ez360 Pano can be placed on a wall or ceiling and still give you complete coverage of any room. 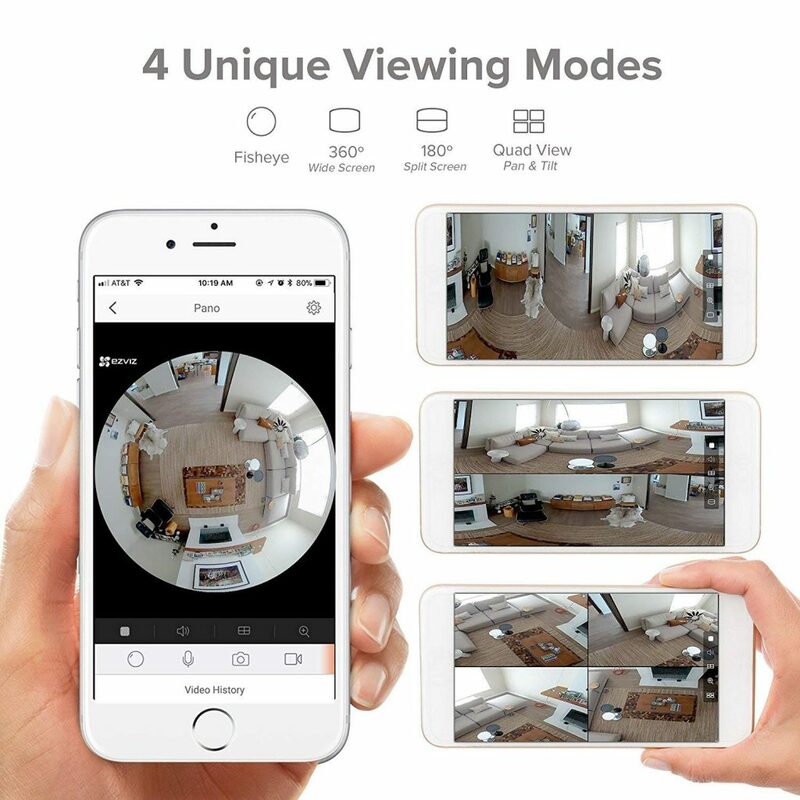 With a 4 way split screen option and ability to independently pan, tilt, zoom each window, you can also keep a close eye on separate and specific areas that you choose. 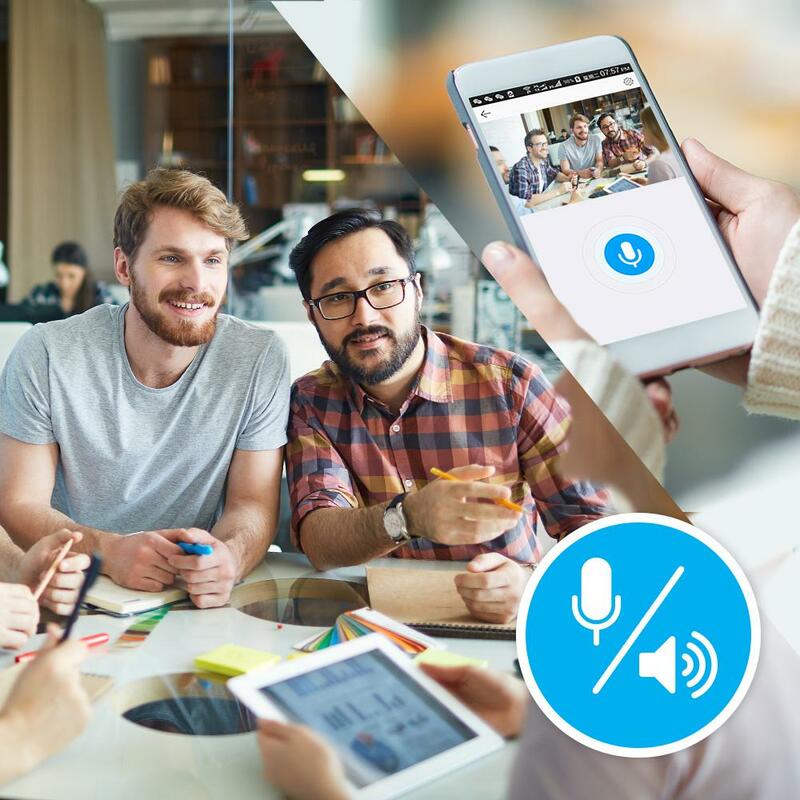 You don’t have to worry about late-night recordings. 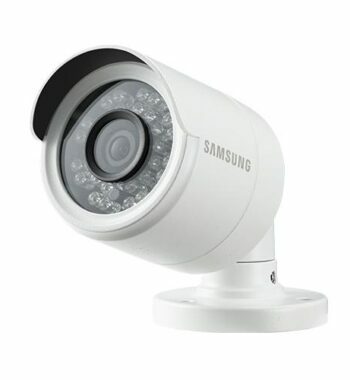 With the high-efficiency IR fill light, the camera will be able to see up to 7.5m in the dark. 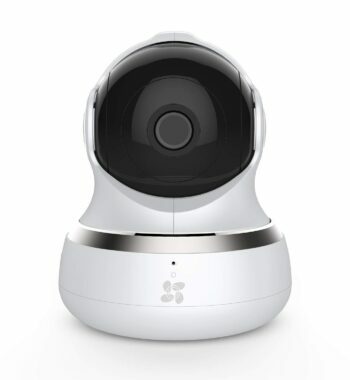 You can watch your entire room without making any noise or check up on your store or office during the night. 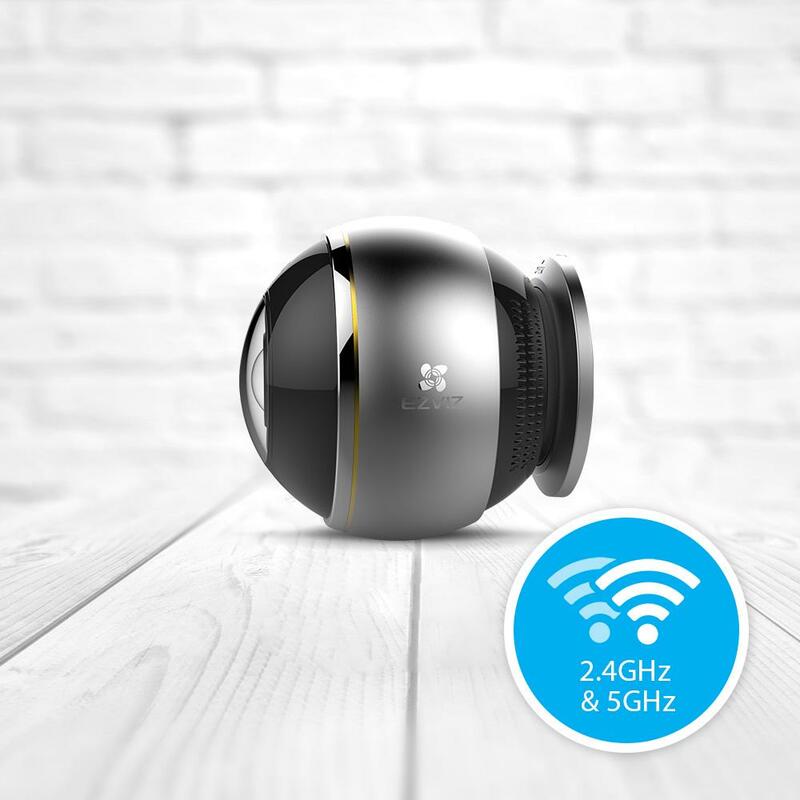 The Mini Pano transmits via the Wi-Fi 2.4 or 5 GHz band/frequency. 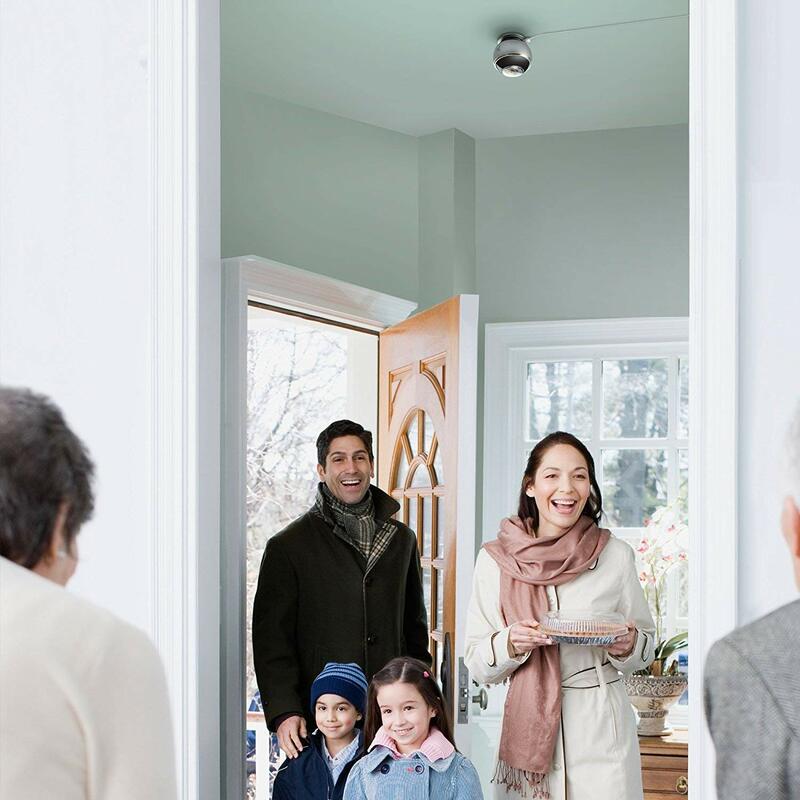 Therefore, you can always enjoy a stable, secure connection. 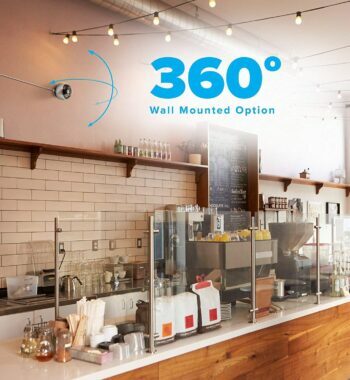 Just switch bands to get the best transmission rate. 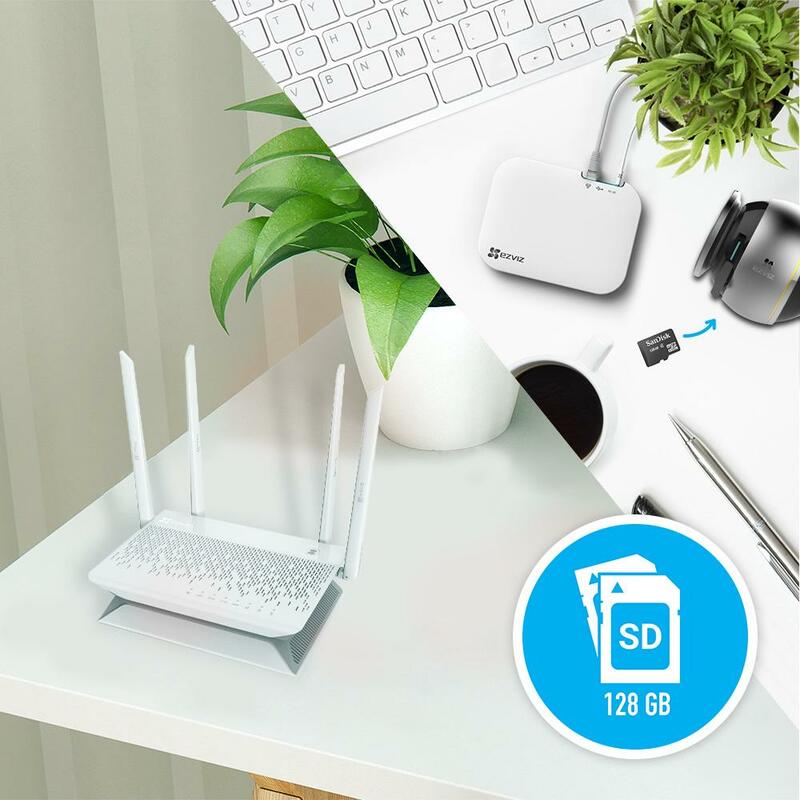 The ez360 Pano has an integrated micro SD card slot that supports up to 128GB of storage (card not included). 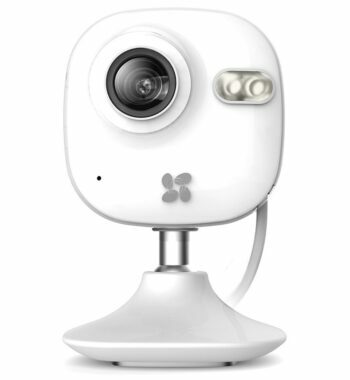 Ideal to keep a fun video, or to send images to the authorities in case of a burglary. 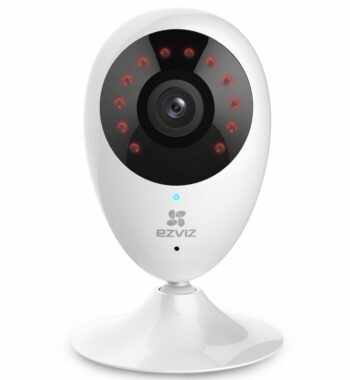 You can also store the pictures and videos on the EZVIZ NVR video recorder. 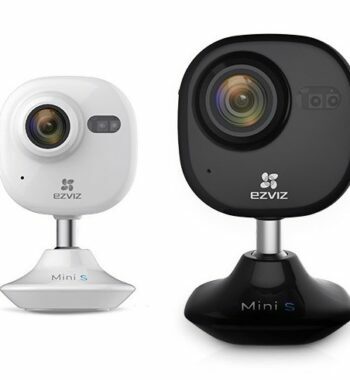 All EZVIZ cameras are smart home-enabled. 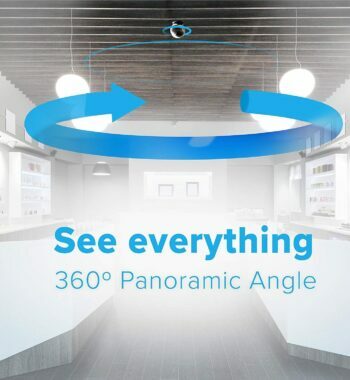 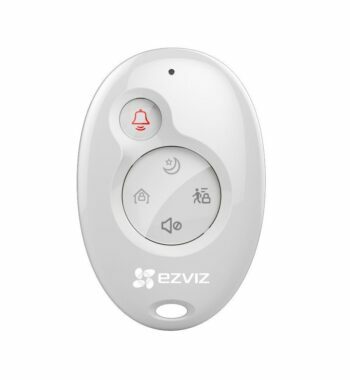 You can connect the ez360 Pano to your EZVIZ door or window sensor. 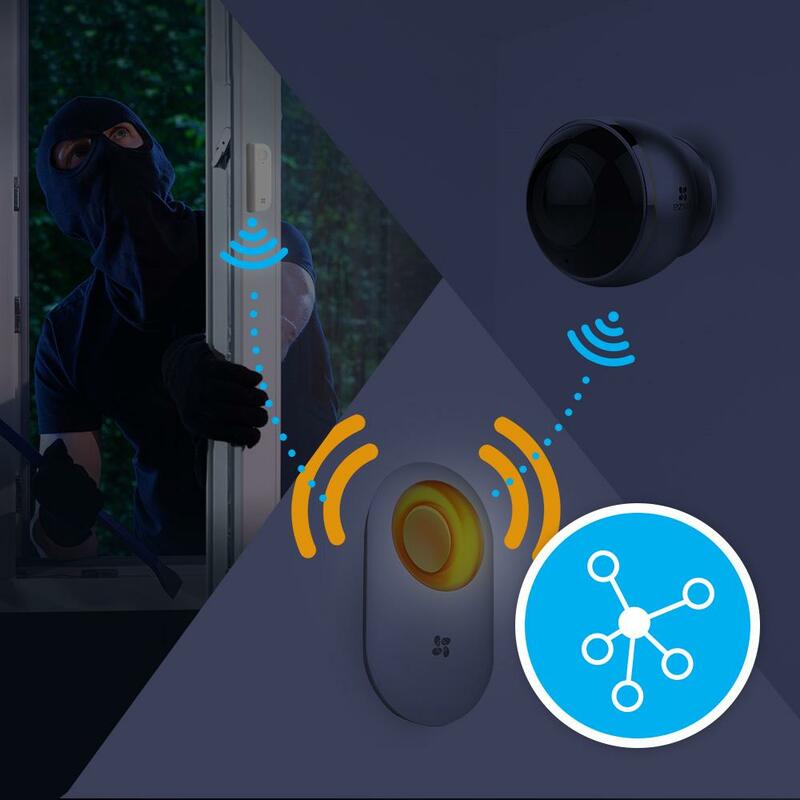 All-round safety made easy. 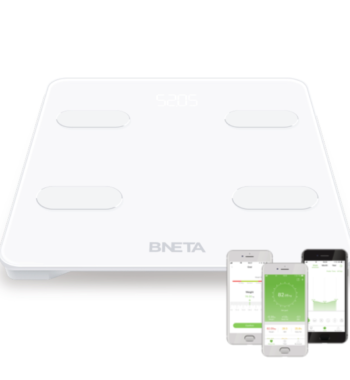 BNETA is an abbreviation for 'Bring New Technology to Africa' offers latest tech products to African consumers and business people, constantly focused on improving the quality and safety of life. 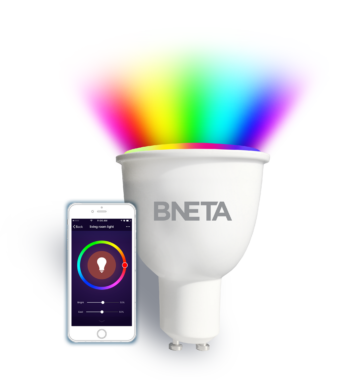 Please subscribe to our newsletter to stay on top of latest technologies and BNETA promotions.